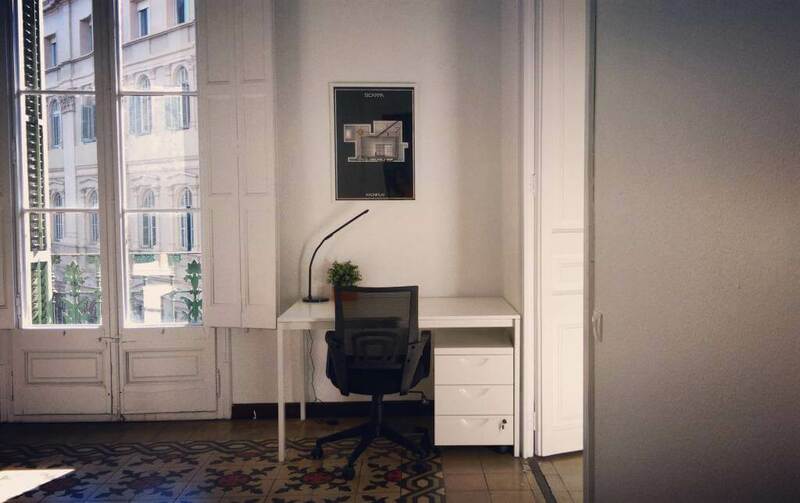 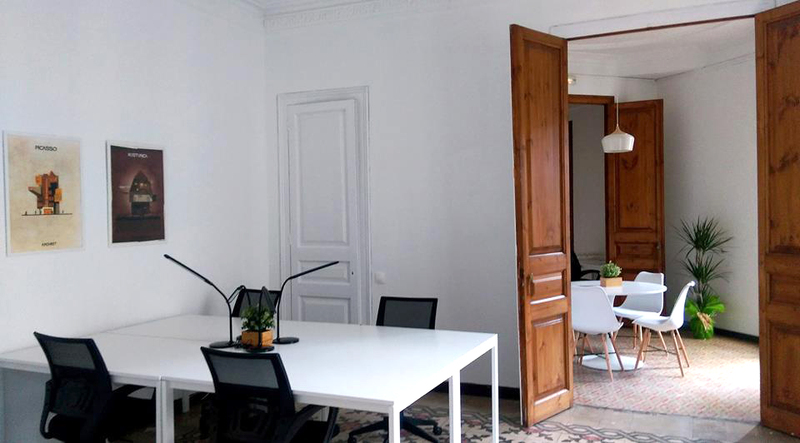 Sky 4 Office is a new coworking space located in the center of Barcelona, ​​next to Plaça Urquinaona. 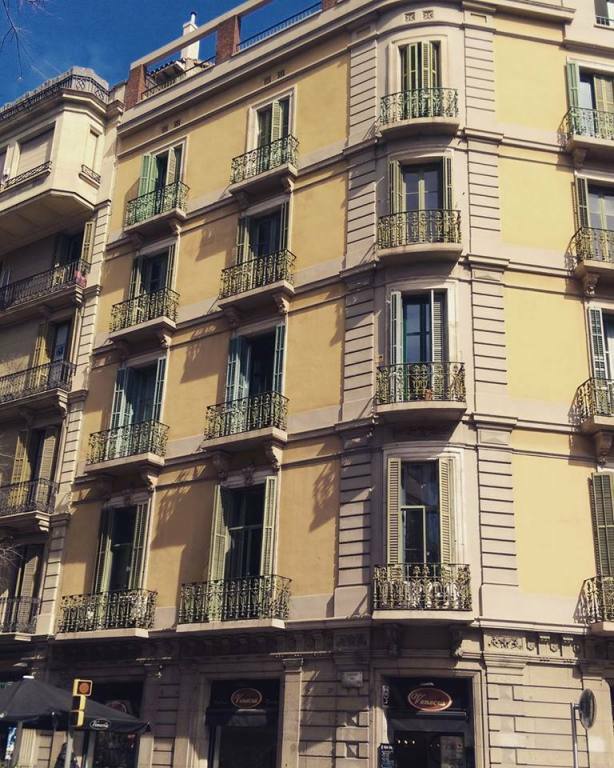 Excellent communication with the rest of the city by metro (L1, L3 and L4) RENFE, FGC, buses and by bicycle, as well as with the Aerobús. 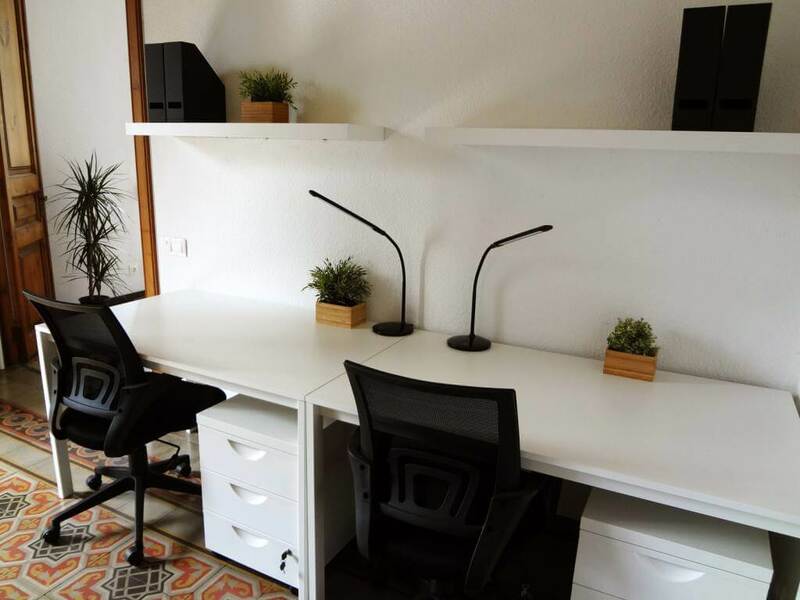 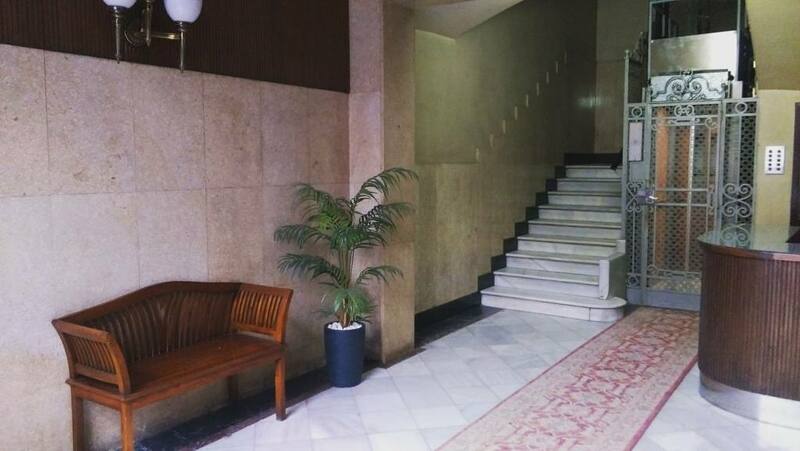 The office consists of 21 tables arranged in 4 work rooms, 2 meeting rooms with capacity for 5 and 8 people, rest area with eating area, kitchen and parking space for bicycles. 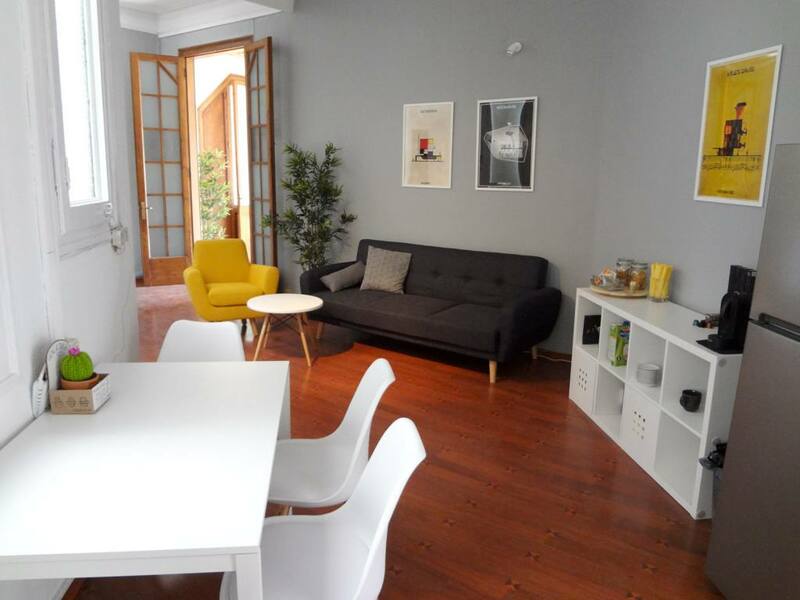 It is a cozy apartment of the Eixample of 170 m2, totally reformed, with natural light, internet fiber optic 300Mb, air conditioning, drawers with key, Smart TV LED 49 '' Full HD, printers-scanner, coffee / tea / water .. Sky 4 Office has 24 hour access every day of the week, concierge and elevator. 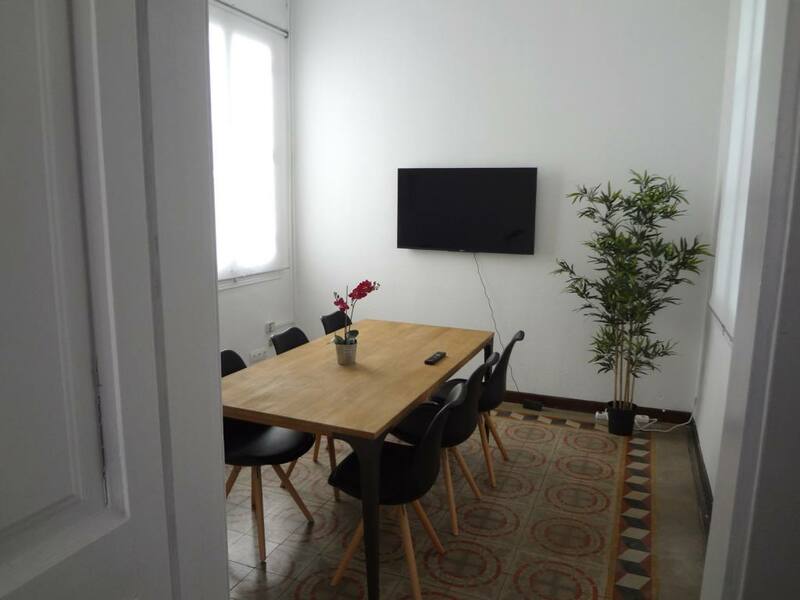 We also rent our meeting room for hours with capacity for 6/8 people to external professionals who need to meet in a timely manner in a space equipped, professional and pleasant. 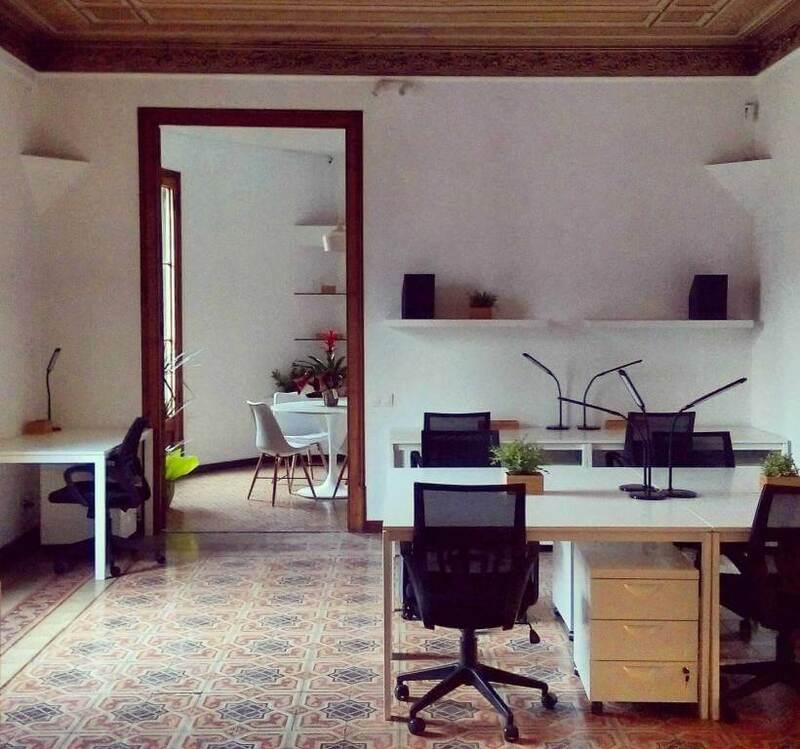 Our coworking is a multidisciplinary space oriented to creative professionals, autonomous, micro, ... Come and visit without compromise.